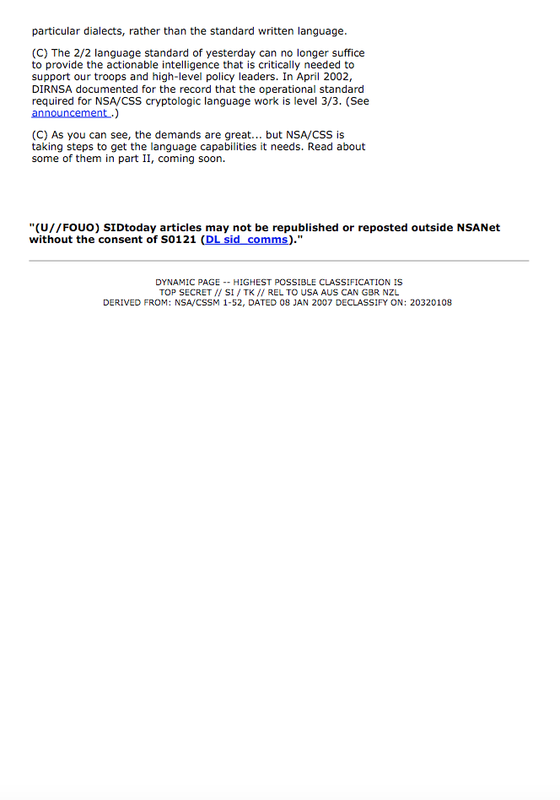 Among the NSA documents that have seen the light of day there are a series of articles from the NSA's internal, private news site, SIDtoday which are being released in batches by The Intercept. 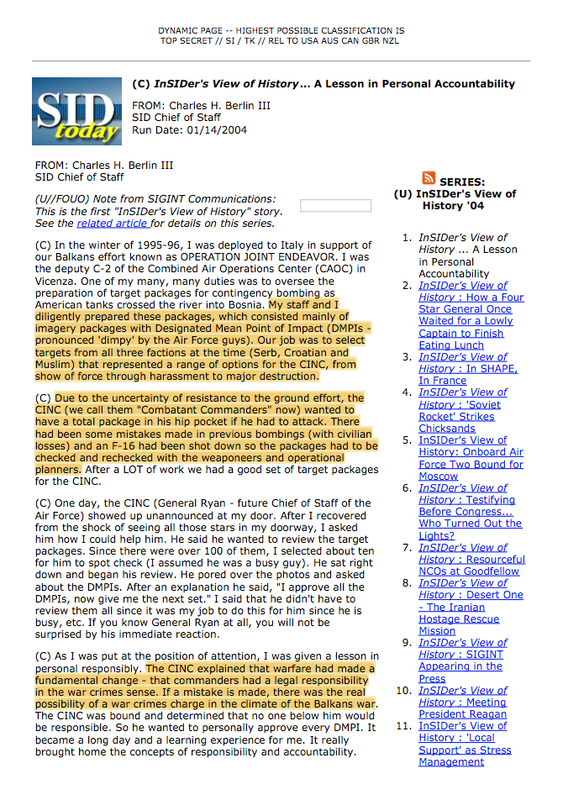 One of these internal documents from January 2004 provides us an insider's glimpse at how the American forces were using intercepted signals intelligence (SIGINT) in the Iraq War. Mr. Berlin starts out by recounting his experiences with signals intelligence during the Balkans War (aka Operation Joint Endeavour) in the mid-1990s. He notes that the job of the Signals Intelligence Directorate during the Balkans War was to select targets for the U.S. military, providing them with a range of options for attacks. He notes that there had "been some mistakes in previous bombings (with civilian losses)". 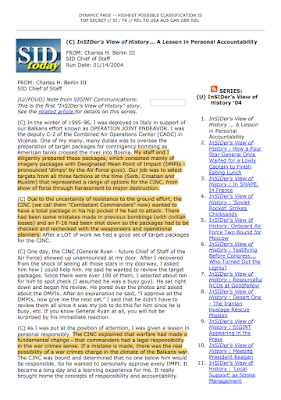 After personally approving the targets provided by Mr. Berlin and his staff, the Commander in Chief, General Michael Ryan informed Mr. Berlin that commanders now had the legal responsibility for selecting military targets and that if a mistake was made, there was the possibility of a war crimes charge. 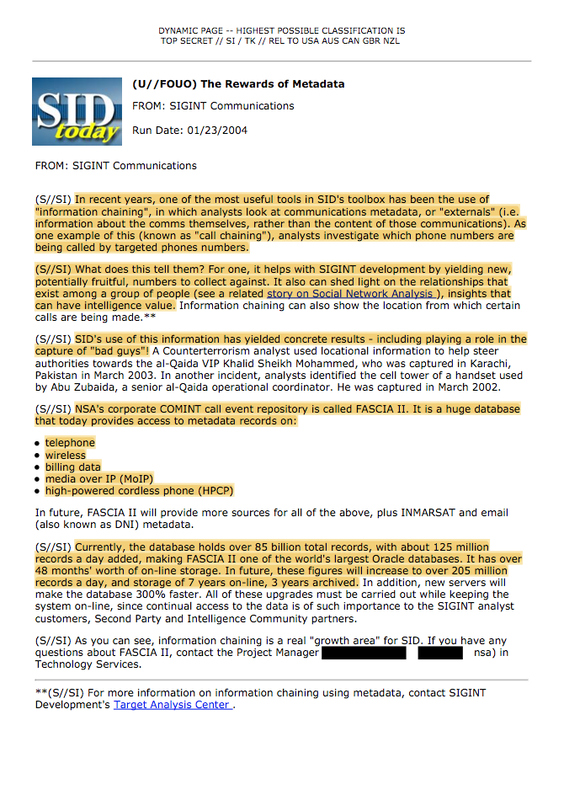 As we can see from this document, the NSA was using metadata (i.e. 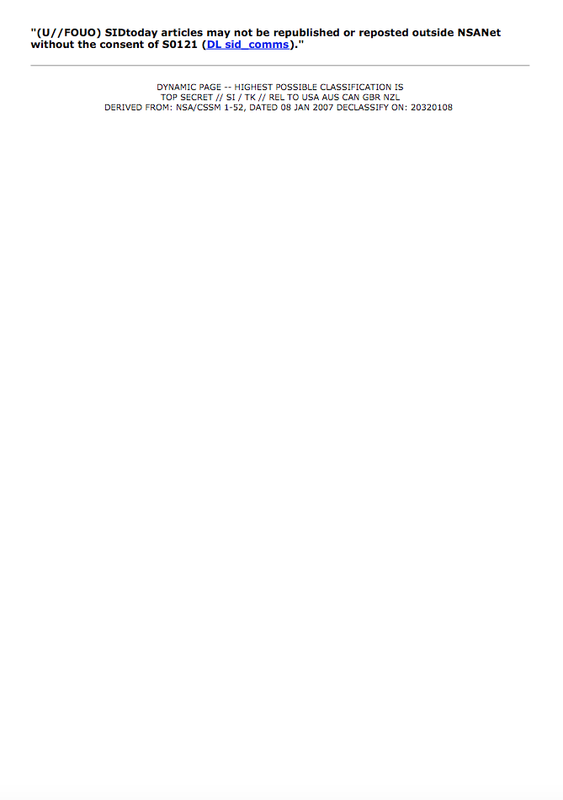 information about the communications such as time, geographic location, length of call) rather than the content of those communications) in a process that they define as "information chaining". In one type of metadata tracking, call chaining, analysts looked at which phone numbers were being called by phone numbers that they were tracking, giving them even more phone numbers to track. 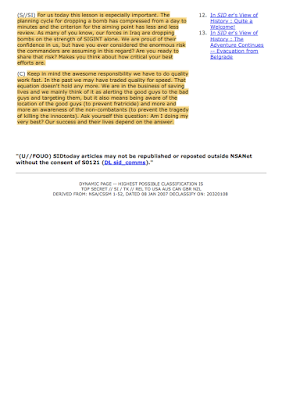 This would allow analysts to determine the relationships between certain groups of people (i.e. 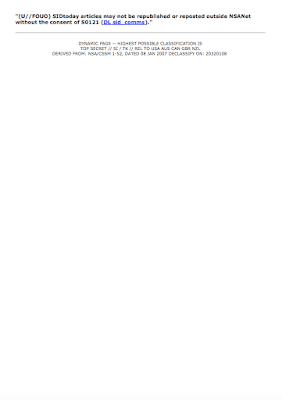 in this case, suspected terrorists). 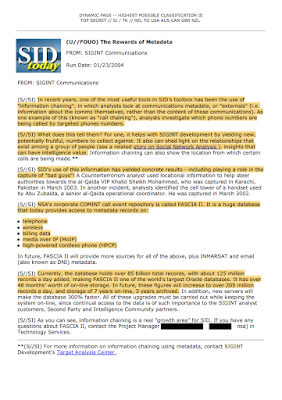 According to the author of the document, SID's use of communications metadata had led to the capture of "bad guys" including al-Qaeda leader Khalid Sheikh Mohammed. 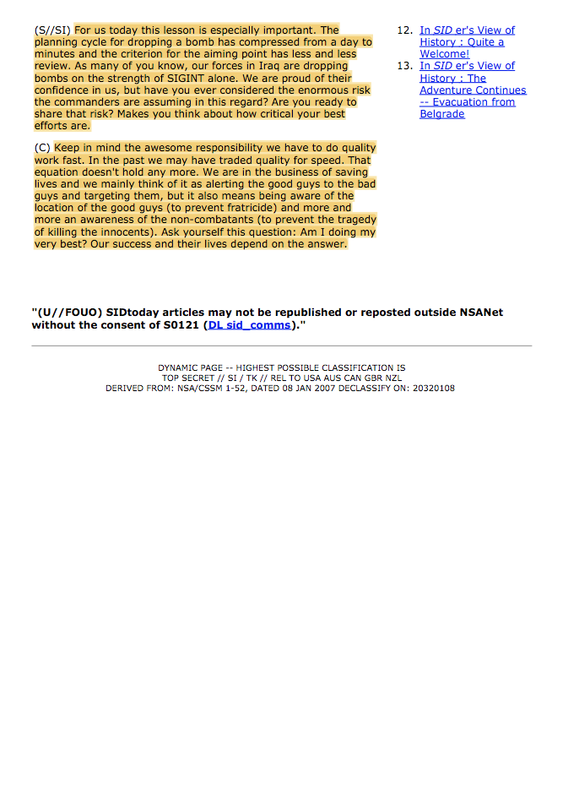 What is particularly interesting is the volume of metadata/signals intelligence that the NSA had collected. According to the author, the NSA's corporate call event repository was known as FASCIA II and contained metadata records on telephone, wireless, billing data, high-powered cordless phones and mobile over internet protocol or MoIP. By early 2004, FASCIA II contained over 85 billion metadata records with daily additions of 125 million records. FASCIA II had over four years worth of online storage and it was anticipated that it would be able to handle over 205 million metadata records daily and store up to seven years of metadata records on-line and three years of metadata records in storage. 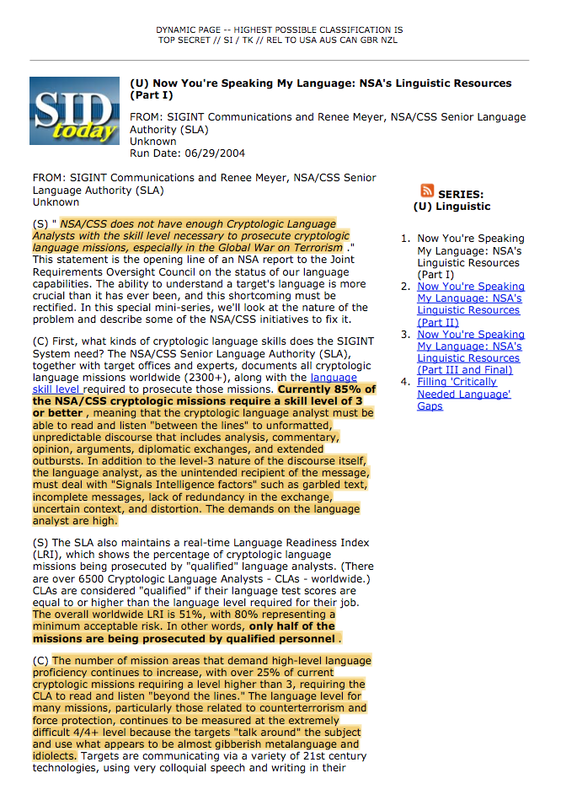 Note that according to the author, in 2004, only half of the missions that were part of the Global War on Terror were being undertaken by NSA Crypotological Analysts that had the minimum qualifications necessary to understand the complex communications used by the "terrorists" that were being targeted. 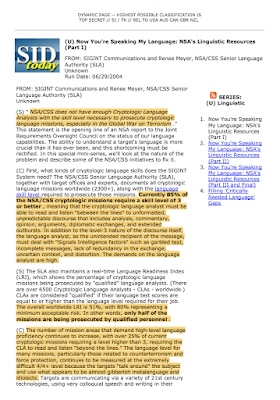 Looking back to the first part of this posting, given what we know about the volume of data that the NSA was dealing with and the lack of linguistically capable analysts, it is rather shocking that the coalition forces in Iraq were comfortable using SIGINT alone to target where they wanted to drop their bombs.